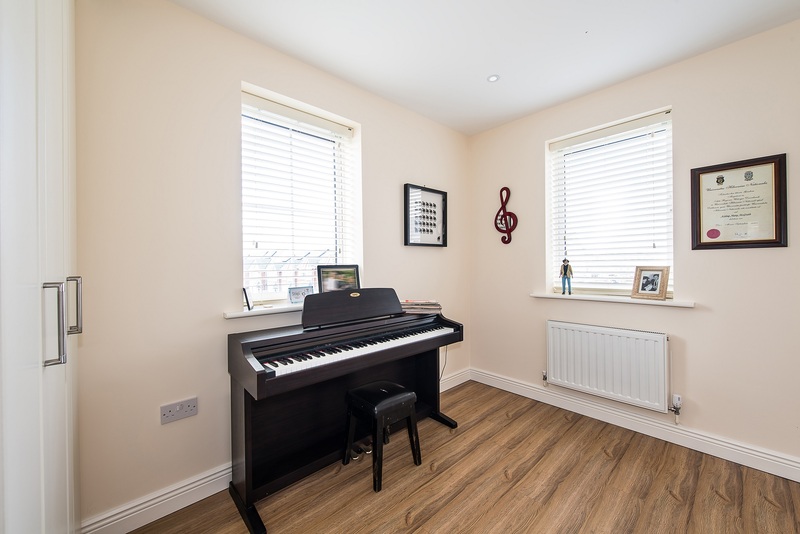 Location: 1 Peyton View, Peyton, Stoney Lane, Rathcoole, Co. Dublin, Ireland. 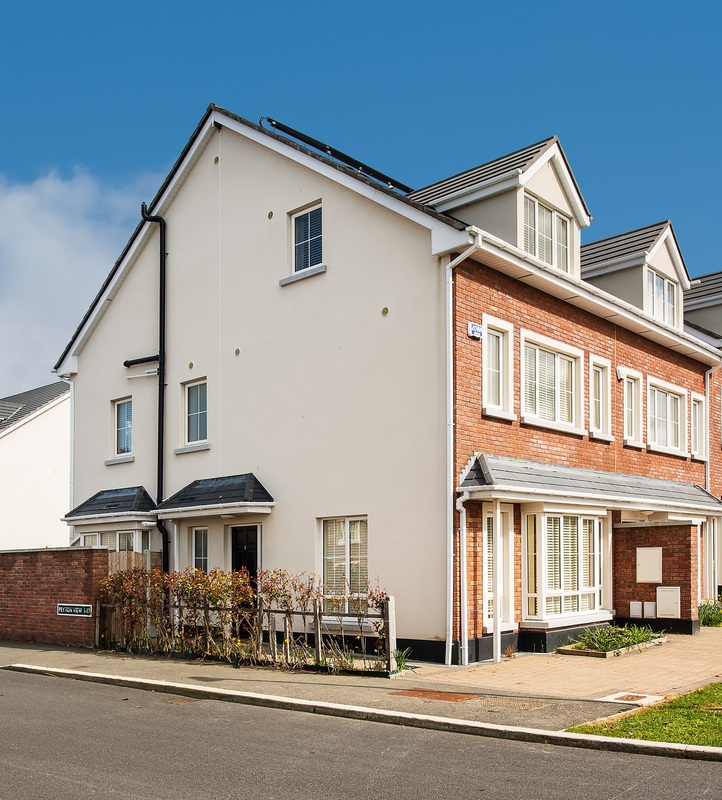 1 Peyton View, Peyton, Stoney Lane, Rathcoole, Co. Dublin. 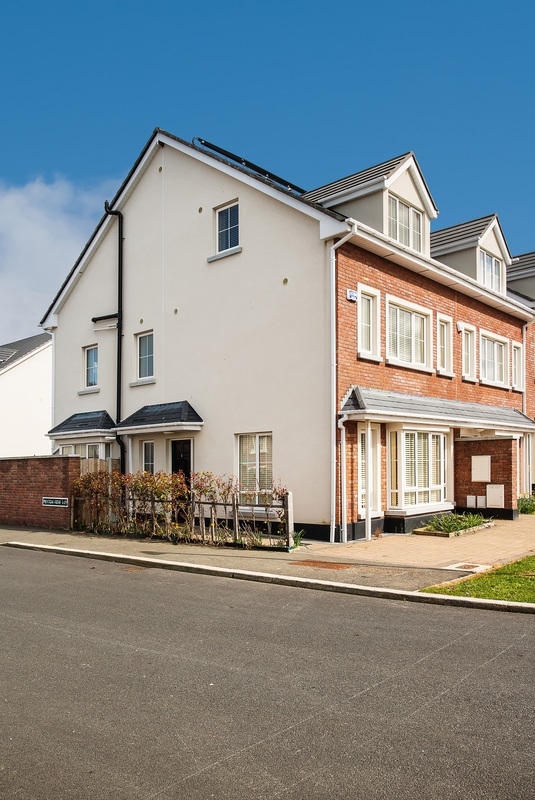 Finnegan Menton present this fabulous 4 bedroom end terrace 3 storey family home with extended kitchen, livingroom, 4 double bedrooms and 4 bathrooms. 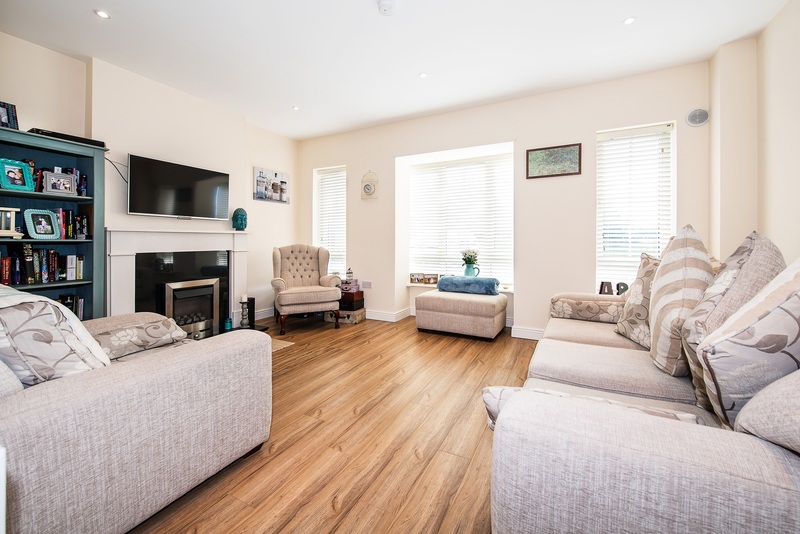 This bright spacious house is in show house "walk in" condition with luxury kitchen, fitted wardrobes & walk in wardrobe, luxury bathrooms and high quality finishes throughout. 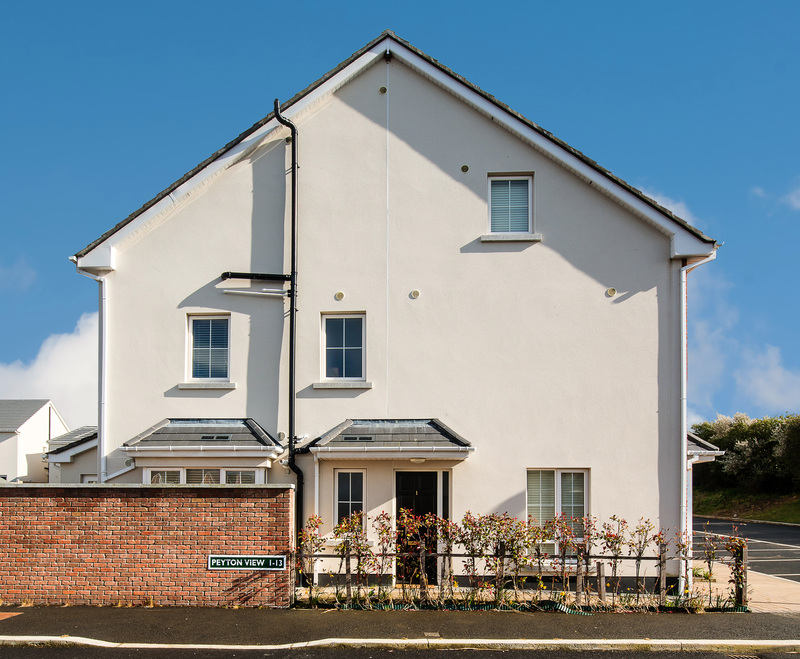 1 Peyton View was built only 2 years ago by Blackchurch Homes Ltd and designed by McGrane & Partners and OBK Architects. A great deal of thought has been put into every aspect of the design and layout of the house, allowing for generous living accommodation and incorporating numerous attractive design features both internally and externally. Quality landscaping with good public open spaces and private gardens result in a tranquil living environment. 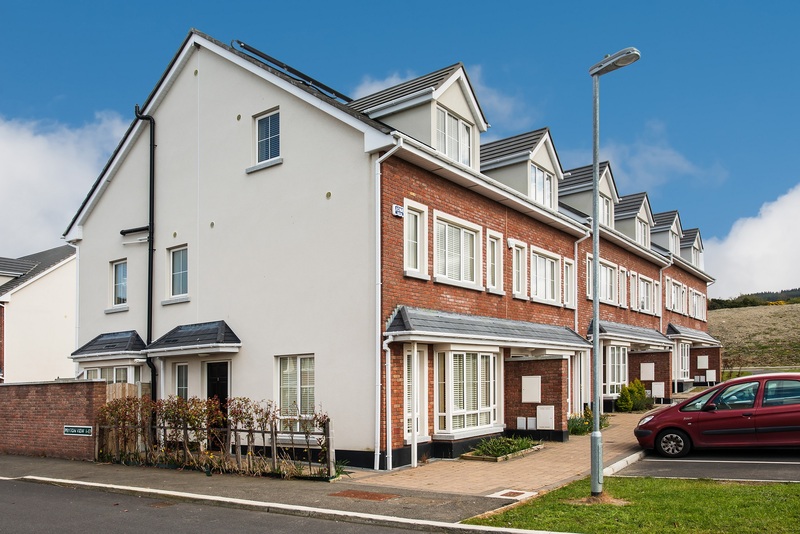 Located off Main Street, Rathcoole, Peyton could not be situated in a more convenient location, with its easy access onto the Naas Road (N7), Citywest Hotel, Citywest Office Park and the M50 motorway and Luas stops at Citywest Hotel & Shopping Centre and Saggart. Commuting to and from Dublin City Centre for both business and pleasure could not be easier, with buses to Dublin utilizing a dedicated bus corridor. Bright living room with 4 long windows make this room very spacious and inviting. Bay window an extra: 1.46m x 0.45m. High quality luxury limestone fireplace with gas fire inset. 9 foot ceiling, recessed lighting, alcoves either side of fireplace, high quality white oak wood laminate flooring, tv point. Cream high quality fitted kitchen units by QK Living with black granite countertops. 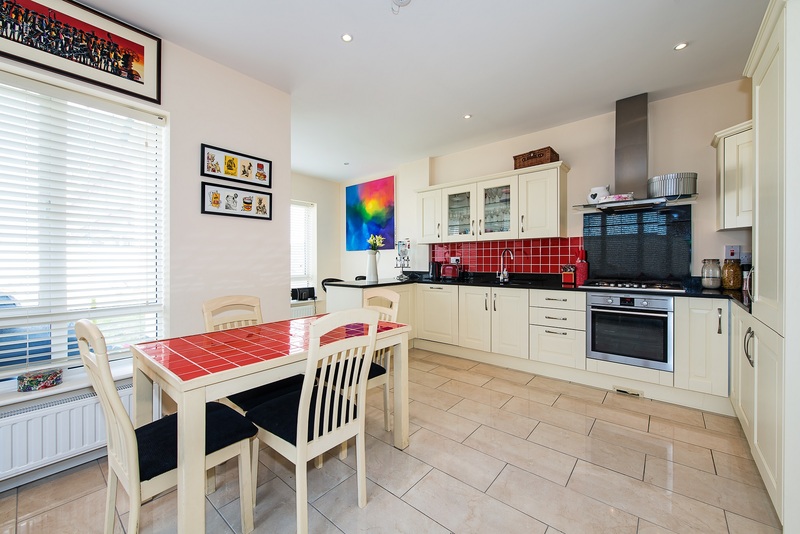 L-shaped open plan kitchen / dining area with breakfast counter. All AEG kitchen appliances are integrated and included in the sale to include fridge freezer, dishwasher, electric cooker & 5 ring gas hob. Breakfast bar with black marble countertop, the whole kitchen / dining and breakfast area is tiled, patio door to garden. Off the entrance hall, Zanussi washer & dryer included, utility room counter, alarm panel and extra wall plugs, floor tiled. 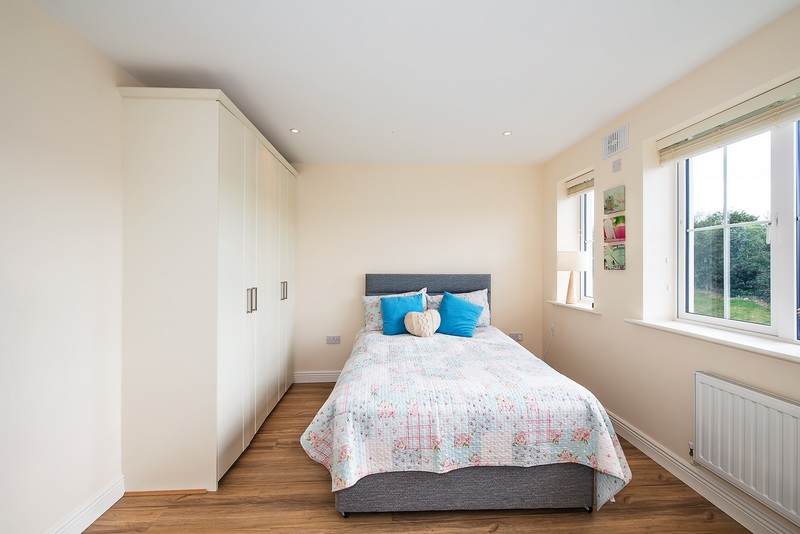 Large double bedroom, white oak laminate timber floor, fitted wardrobes. Double shower with glass sliding door, wc, whb, chrome towel rail, shaving lamp, splash back and floor tiling, chrome sanitary ware fitting with mixer head shower control. 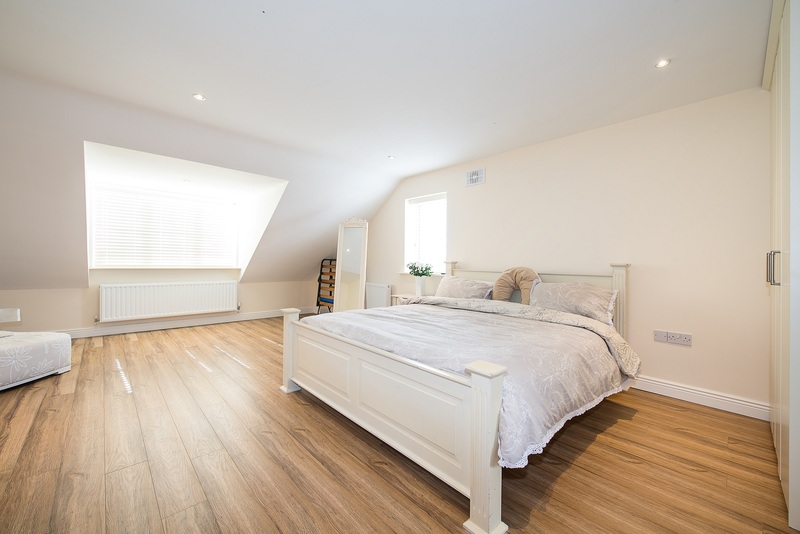 White oak timber laminate floor, fitted wardrobes. Large landing with carpeted floor. 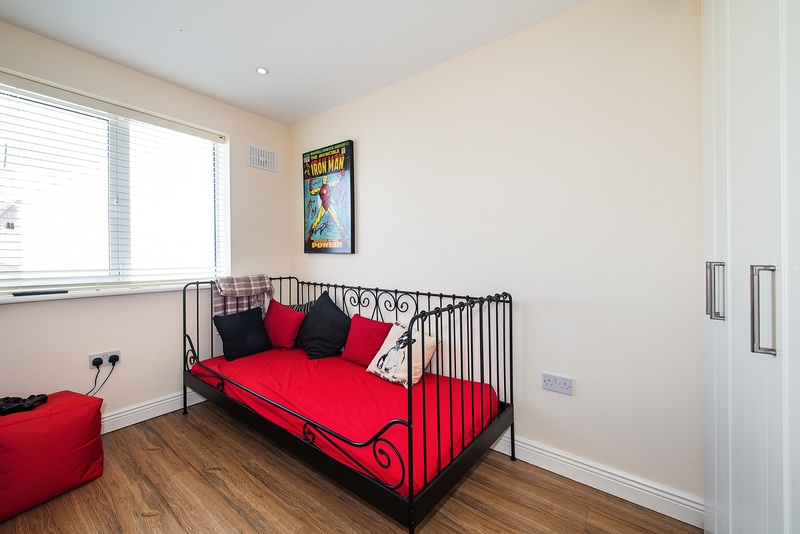 The entire second floor is the master bedroom suite with a "walk in" wardrobe / storage room, large ensuite bathroom, fitted wardrobe, white oak laminate timber floor, this bedroom is so large it could take 3 double beds, dormer window. White suite comprising double shower unit with glass door, wall & floor tiling, wc & whb, shaver lamp, chrome towel radiator, white oak laminate. 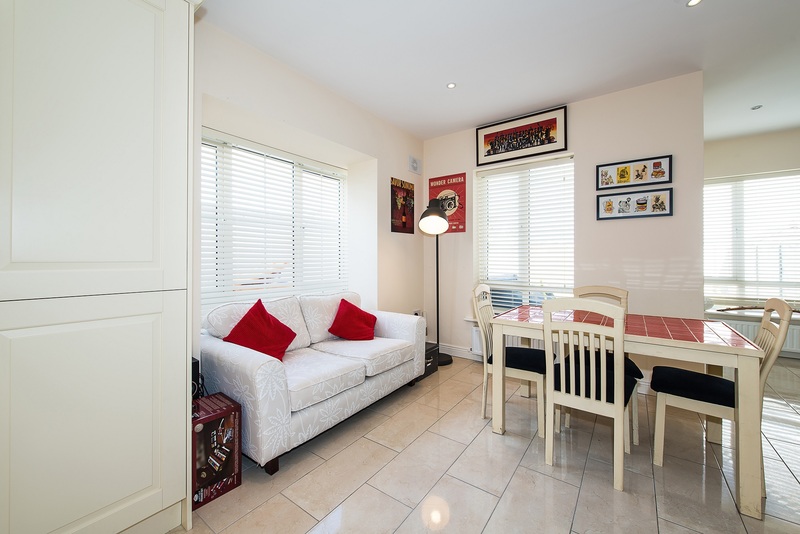 - Large 4 bed family home c.1,800sq.ft. / 168sq.m. 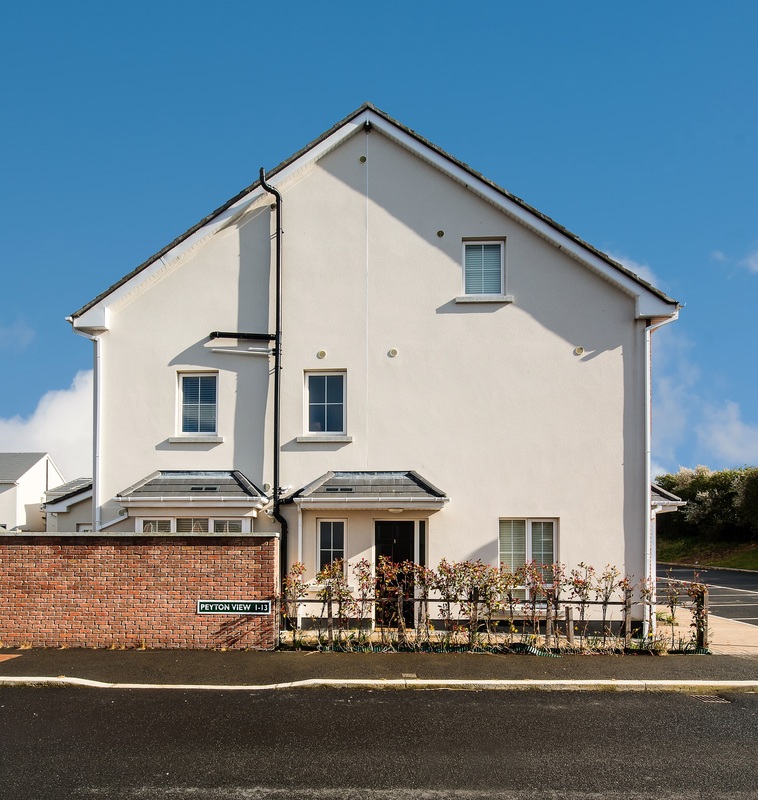 - House built new 2 years ago by quality builders, Blackchurch Homes. 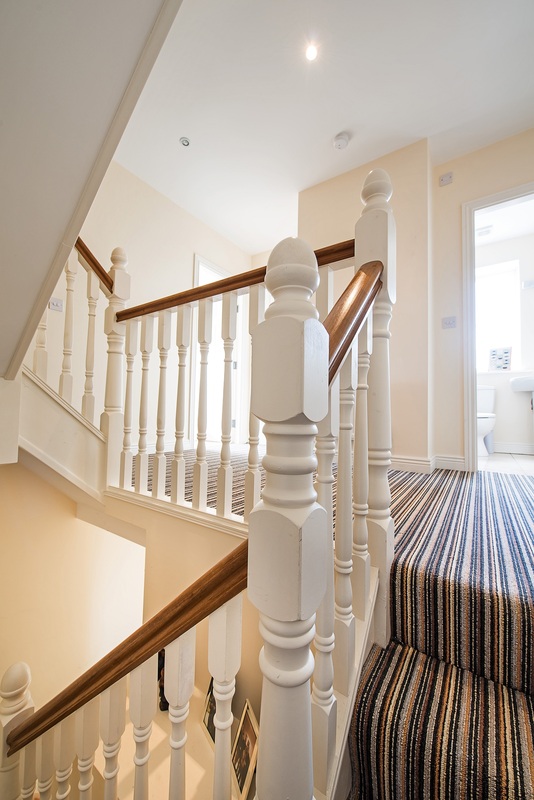 - Decorated in all neutral white and cream colours throughout. - High quality Munster Joinery double glazed windows and doors. - High quality QK kitchens with all appliances. 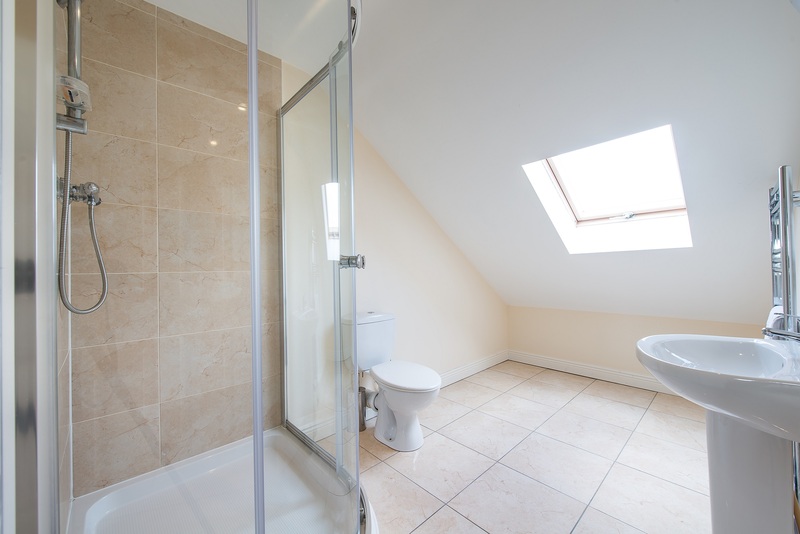 - Side and rear houses have maintenance free plasterwork. 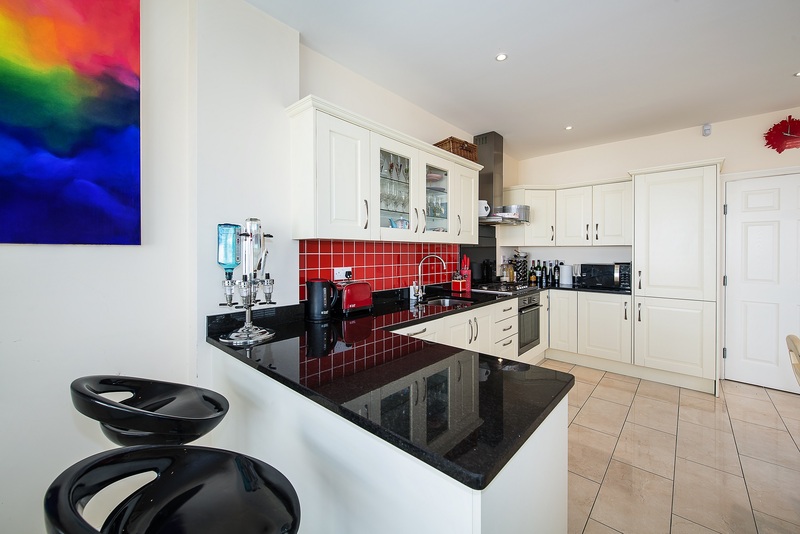 - Black Granite worktops and splash backs. 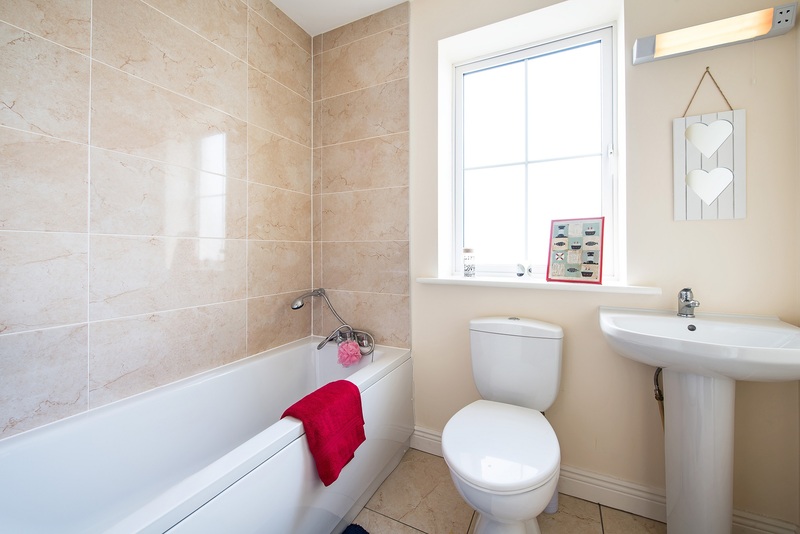 - Generous tiling in bathrooms. - Hardwood front door and high quality internal doors. - Feature natural gas fireplace. - High efficiency natural gas boilers Solar panels fitted to heat domestic water. - Estate is extensively landscaped. 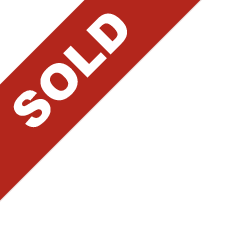 - Primary & Secondary Schools in Rathcoole (walking distance). - 69 Dublin Bus Route and Dualway Coaches to Dublin City Centre. 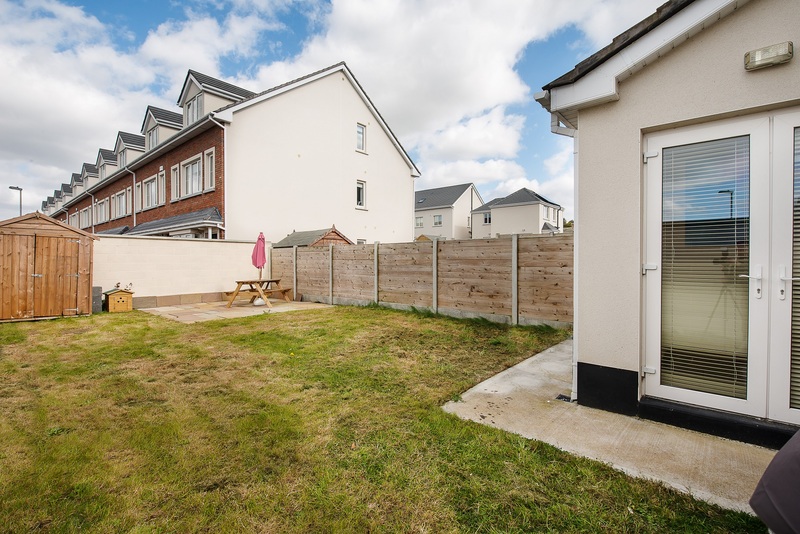 Garden: Garden shed included, side gate, lawn area to the rear garden. From Dublin take the N7 (Naas / Limerick Road). Take second exit off roundabout. Approach next roundabout and take first exit signed Rathcoole (Avoca Café & store on the right hand side). Continue straight ahead and enter Rathcoole Village. Take a left off Main Street after Tesco onto Stoney Lane. Peyton is located c.300 metres on your right hand side.